Another one of those "victimless" drug crimes. Rise in number of cases of Cannabis vomiting syndrome. Imagine that, a substance touted for the treatment of nausea causing vomiting. 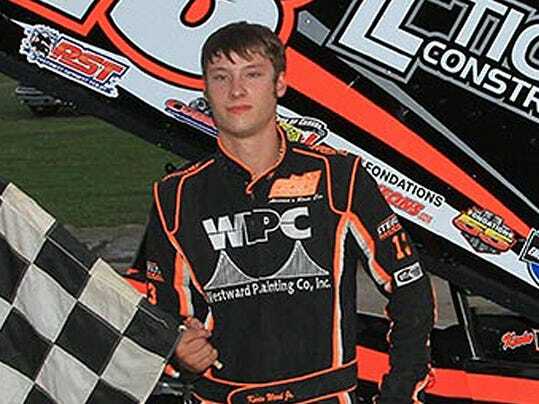 Toxicology reports revealed Kevin Ward Jr., was under the influence of marijuana on the night he was struck and killed by a sprint car driven by Tony Stewart, Ontario County (N.Y.) District Attorney Michael Tantillo said Wednesday. Something I've talked about before, never thought it would get front and center treatment by Hollywood, but I guess 'Kill the Messenger' broke a little ice. There was a plan crash in the news involving this movie and Tom Cruise. Funny enough I wrote a piece that explains that. Short version: If you want to find suicide bombers look for people who are suicidal. People with PTSD. And the best indicator of that? Excessive alcohol or pot use. Which may explain why so many suiciders spend their last days getting drunk or stoned - the 9/11 guys being a case in point. It is my contention that if we were treating these people instead of hounding them the country would be better off. We might have a lot fewer vet suicides as well. I think there are already 23 med pot states and 4 legal states + DC.The police resources we waste on Prohibition could be better used going after the Islamic nutters. G. Bush post 9/11 wanted to put 1/2 the FBI drug squad into counter terrorism. The bureaucracy vetoed that move. Maybe it is time for the change. It might be good to keep an eye on heavy alcohol and drug users. But not for the usual reasons. To get them to come forward voluntarily you have to call off the dogs. Besides - how can you make pot prohibition work when 58% (and rising) of Americans are against it? It couldn't work when only 12% were against it. choff wrote: Something I've talked about before, never thought it would get front and center treatment by Hollywood, but I guess 'Kill the Messenger' broke a little ice. MadCow is one of my favorite sites for the study of the CIA's contribution to the drug smuggling racket. The movie "Air America" is pretty good on the subject as well. Also McCoy, "The Politics of Heroin in SE Asia" - available for free on the www. The Brits used drug prohibition to finance its empire. We inherited the racket. And so it begins again. Well it was nice a quiet for a little while. Noah Harpham randomly shot (killed) three people in Colorado. His mother said he "smoked pot for breakfast." Robert Lewis Dear. "Deranged Pothead." Dear was also a visitor to a marijuana website, Cannabis.com, where he offered his views about AIDS, hurricanes, and the religious "end times"--views that reflect the rantings of a paranoid mind heavily influenced by marijuana. I'm not sure that explains Obama.